BRYAN EATON/Staff photo. 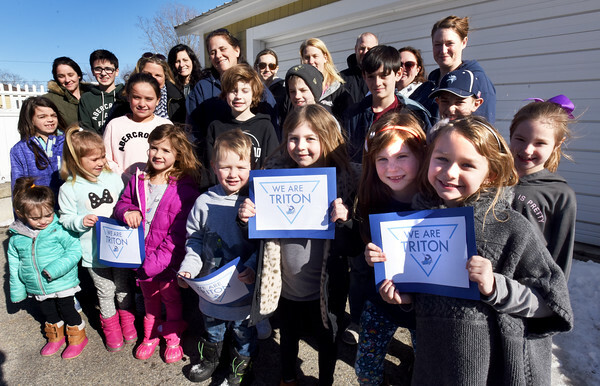 Several Triton School Distric parents pose with their children holding signs "We Are Triton." They plan to be involved in an override of the Triton budget if it fails with town voters.